Fun and games aren’t just for the kids. At American Family Fitness we believe that everyone should be able to take part in their favorite sports activities, no matter their age. With courts for basketball, volleyball, racquetball and pickleball, you can reignite the child inside! Have you always enjoyed basketball, volleyball, or racquetball? What about pickleball? You can play and have fun with the Adult Sports Leagues at American Family Fitness in Fredericksburg. Just because you aren’t a kid doesn’t mean you need to stop doing the things you love. Stay healthy and fit while having a blast and hanging with friends. Sign up now for your favorite sport. Did you dream of being a pro ball player when you were a kid? 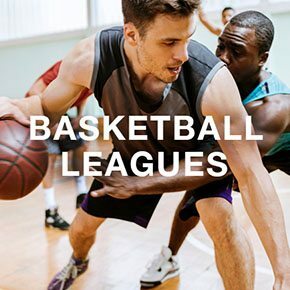 With the Adult Basketball Leagues at American Family Fitness in Fredericksburg, you can continue to participate in your favorite sport. Have fun, hang with friends, and keep fit. Sign up today. Did you love the thrill of the game when you were younger? 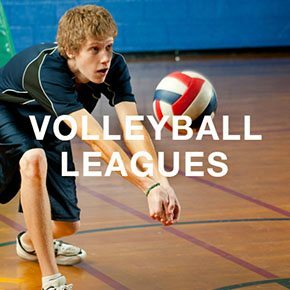 Join the Adult Volleyball League at our gym in Fredericksburg and have that feeling once again. Growing older doesn’t have to mean giving up the sports you love. Register now. Do you miss the heart-racing feel of competition? 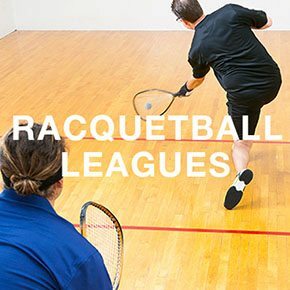 With the Raqcuetball Leagues at our Fredericksburg gym, you will be able to enjoy it once again. With constant action, this full-body sport will assist you in maintaining fitness and lead you toward a healthier lifestyle.